Let see how this can be done. 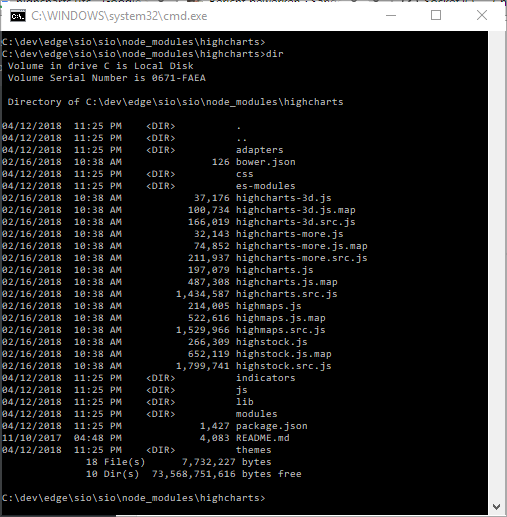 If we look at this small tutorial, we learn we can use a NodeJS package for our HighCharts library reference. How convenient as we are running a website in Node JS using NPM. To reference the libraries in the JavasScript, it is tempting to reference the node_modules location. This is wrong! You do not want to expose that location. // Do not expose internal modules path to your websites. Transform! We want to expose both the charting library and a HightCharts theme (the black theme with the gradient looks nice, doesn’t it?). The trick is in the transformation of internal paths to the logical “/scripts” and “/scripts1”. And for that, we need that reference to “express” itself. Yes, we can now safely reference “/scripts/” and “/scripts1/” as we normally do in generic HTML code. The index.html does not show any changes yet. Let’s change that. Note: the HighChart chart is shown in UTC time. We arrive at the last part of the update. Change the call-back function which prints the message received. This method now parses the incoming message and tries to read the temperature. And the (UTC) time of the message is retrieved too. These values are then added to the chart as a new point on the line. Save the index.html and reload the page. Note: Change the date time value to your current date and time. Remember to save the time in UTC format! 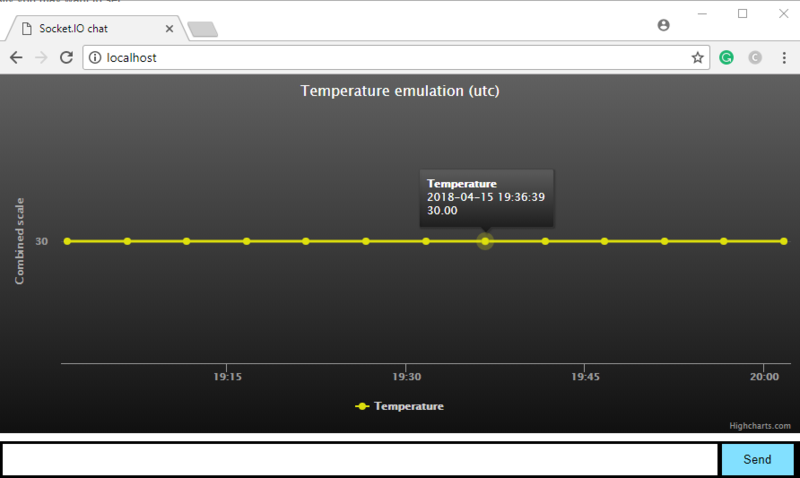 In four steps we have changed a SocketIO chat application into a live dashboard for telemetry. Please check out other features of HighCharts or combine this example with your own Charting libraries. 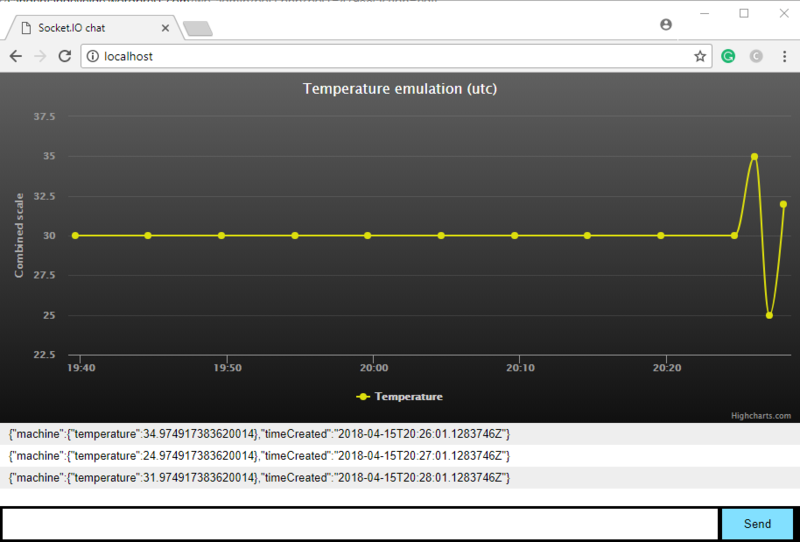 In my next blog, we will check out how we can use this in the Azure IoT Edge.